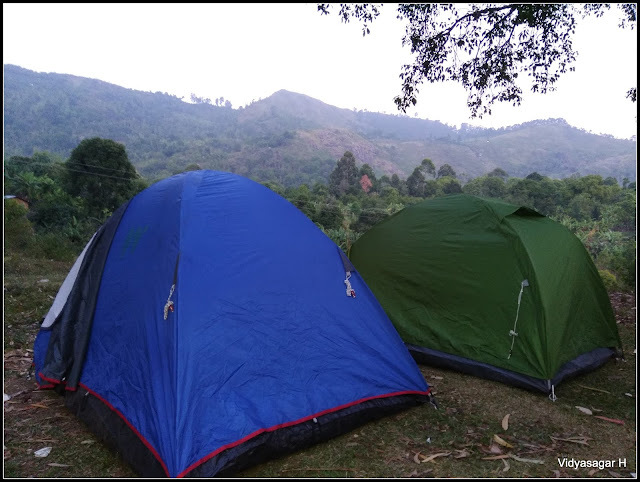 Always wanted camp in the wilderness pitching tent; wanted to stop a ride before the dark; unplanned camping stop, without proper pre-planned trip; yes!!! 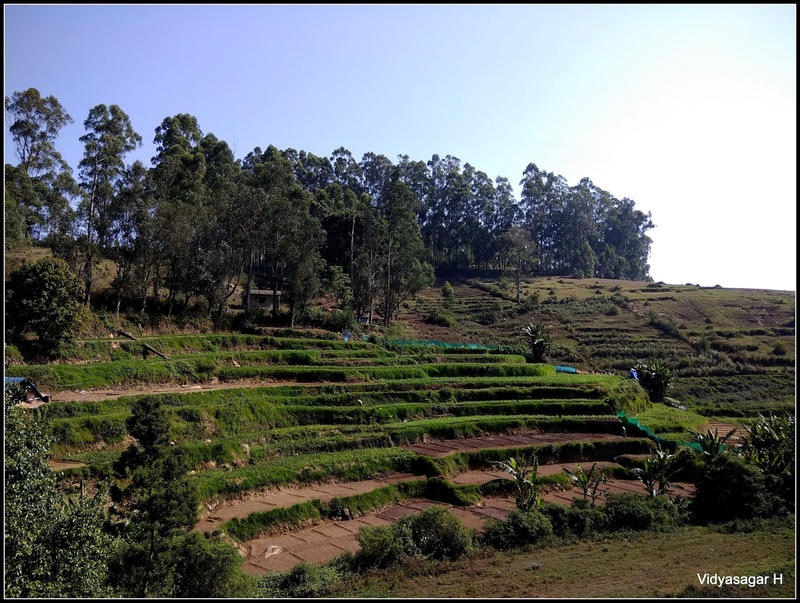 It's all happened in three days long bike ride during Kodaikanal on 29th April 2017 to 1st May 2017. We the friends decided Kodaikanal sometime in mid of April on two bikes, Royal Enfield & Honda Unicorn. My friend Suresh brought new Honda last month, so he joined with us. 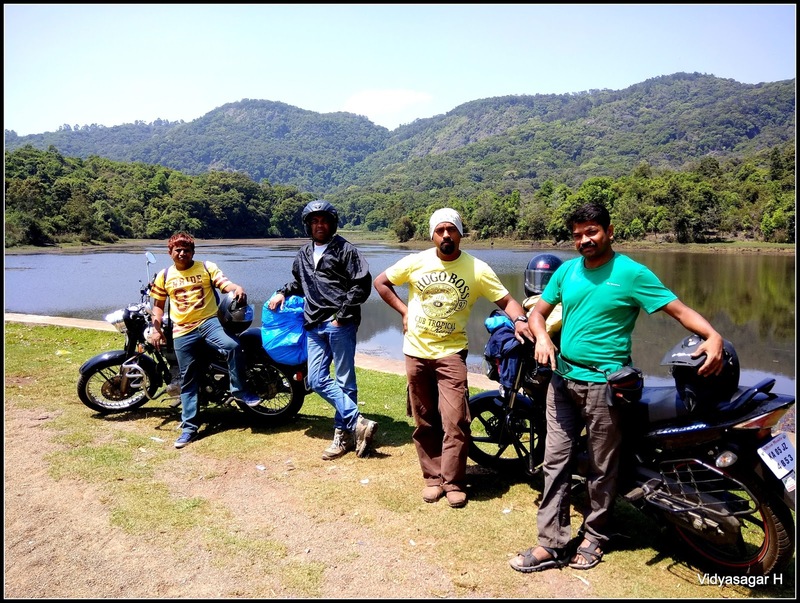 Shanthi Prasad is pillion to Suresh and myself to Sudhakar. Shanthi Prasad & Sudhakar came to my room previous night. We got ready by 3 am, Suresh also on time to reach my room. 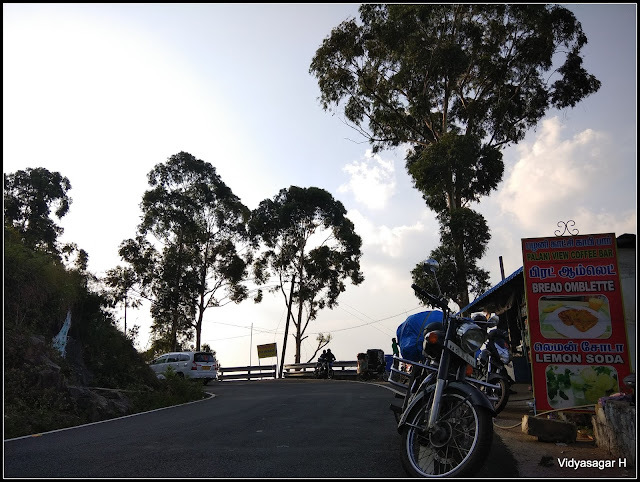 We had hot tea and biscuits as early morning boost; tied both luggage to bullet carrier; started the journey towards Kodai. Early morning empty roads has its own beauty, taking Electronic City flyover reached Hosur. There was little traffic near RTO Check post, continued our journey without break. 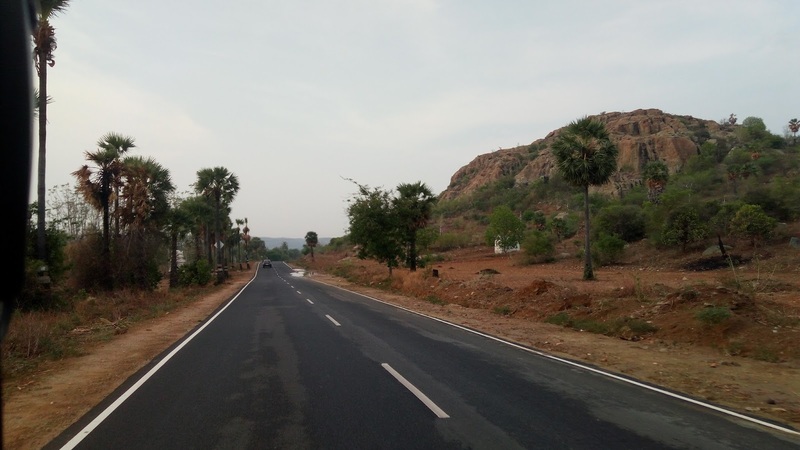 Crossed Hosur headed towards Krishnagiri, vehicle volume got increased on the road. Suddenly we were in traffic jam, thought some vehicle breakdown or accident happened. But the situation was different, it was toll plaza jam. We can’t believe the traffic & vehicles, it took almost 20 minutes come out. Our journey was continued towards Salem, decided to give a stop for breakfast. After Salem roads were little empty, gave a stop road side hotel for breakfast. Sometime we end up with tasty food on roadside where we never expected, small hotel served yummy variety of breakfast. Since the morning this was our first official break, spent good time and continued our journey. How the sun was growing, the heat was feeling to our butts. 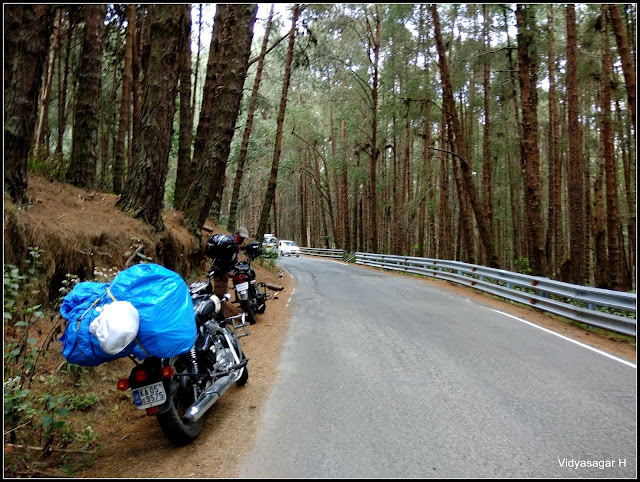 Hot winds were pushing back and our journey continued towards Kodai. Decided to take a break to fill our stomach with Icecream. Shanthi Prasad was already chalked out about internal trail, turned our bikes towards beautiful scenic inner route of Thandikudi. 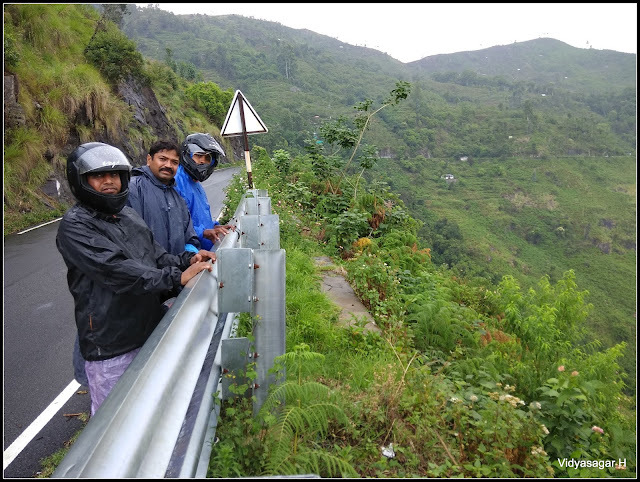 The valley was very scary, the roads were very narrow, vehicle movement was less, but you have to ride very patiently and carefully. The journey was continued taking multiple breaks. 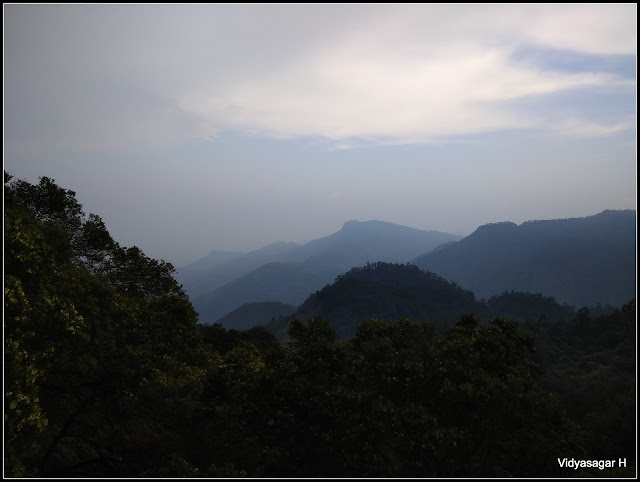 The weather suddenly got complete opposite, the cool winds were welcomed us in hill station of Kodai. Our mission to reach the Kookal Lake was 5pm, considering the timelines took breaks. We felt the traffic slowly mounting on the road, we were very close to Kodaikanal. We can imagine how the tourist place more crowd during long weekends, yes this was also a long weekend of MAY DAY. 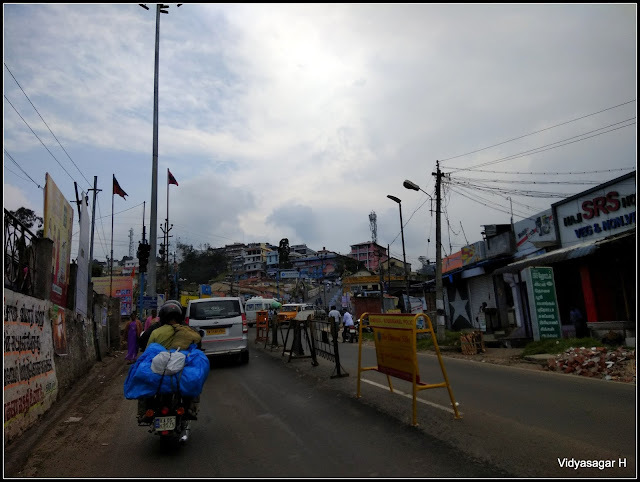 When we were very close to Kodai town the traffic become more. The town was filled with tourist vehicles, it was looking like a Benglauru. We thought not to explore much in the crowd, headed towards our camping Kookal lake. We badly needed to fill our empty stomach, found a descent hotel outskirt of the town. Had yummy lunch and continued our journey. 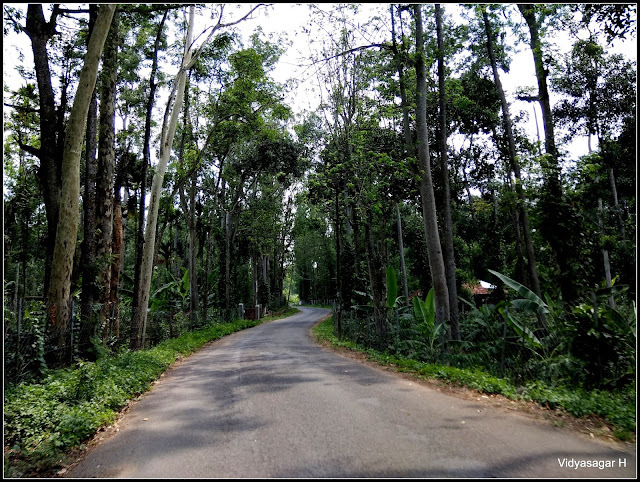 The landscape of the route is very scenic with Pine forest. The traffic was very less, the trail is wonderful. Reached beautiful Kookal Lake around 5.30 pm. Very thankful to our dearest friend Shanthi Prasad for making necessary arrangement to stay in the Forest Department premises of Kookal lake. We all joined with one more group of Dinesh (Our trekking friend) who had taken care about necessary permission. The place itself is a heaven, it is surrounded by hills, beautiful landscape and a small lake. Our day was very long, almost 14 hours long journey come to an end for the day. Dumped our luggage, relaxed for the day. Dinner was prepared by stakeholders, finished and pitched our tent. The beauty of this journey was staying in the tent. The night was chilled, just closed eyes thinking the next day journey. When opened eyes, the birds whispering, cool breeze and silent valley gave lot of energy to our body. 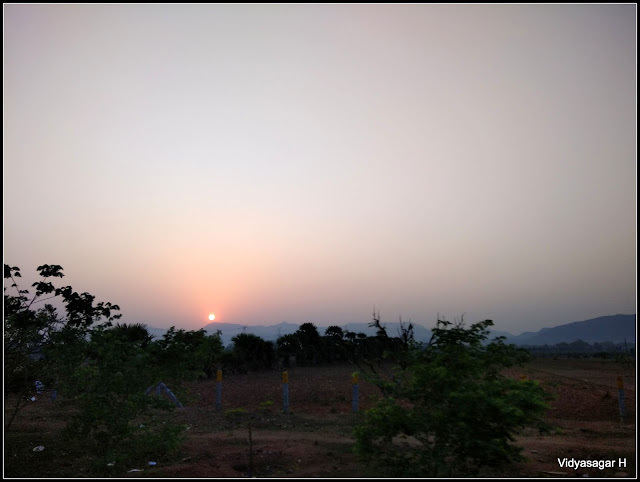 We witnessed beautiful sunrise in the valley. Finished the morning core job and ready to pack up our tent and continue the journey. 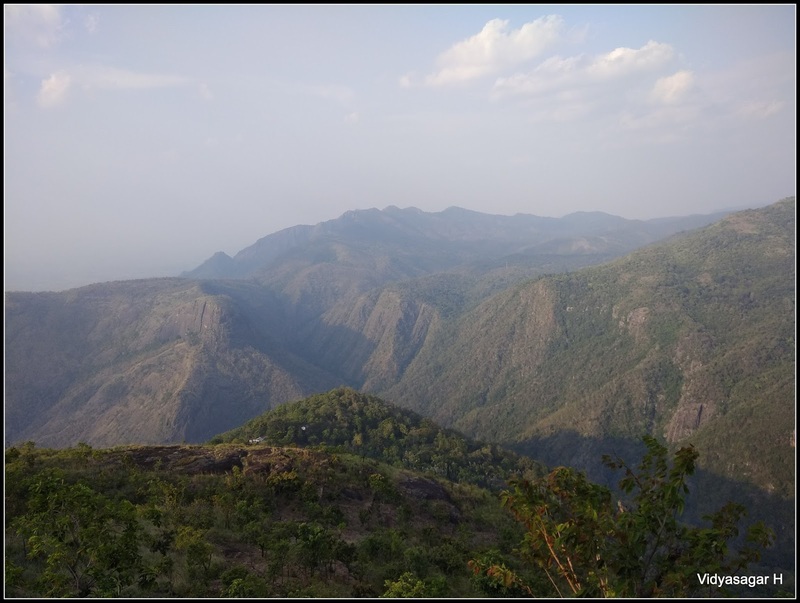 Initial plan was to do a small trekking around the lake, visit a near waterfall and continue towards Palani. Considering the time constrain, we all decided to skip the trek. The breakfast got little late, filled our stomach with Savynoodles. 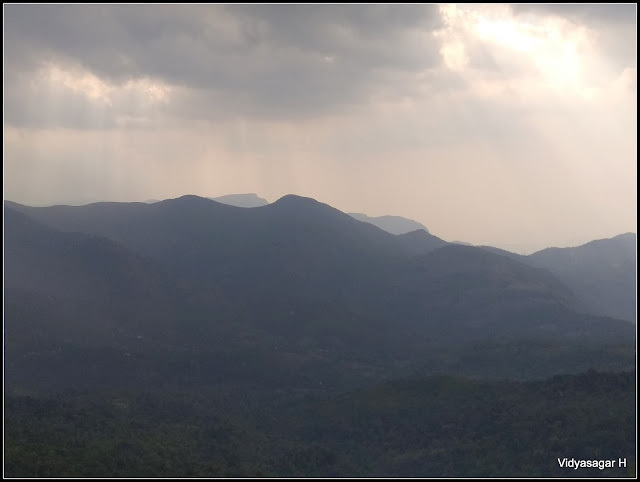 After a small photography session, headed back towards Kodai town. We decided to do the day very relax ride since wanted to camp somewhere in wilderness for second day. 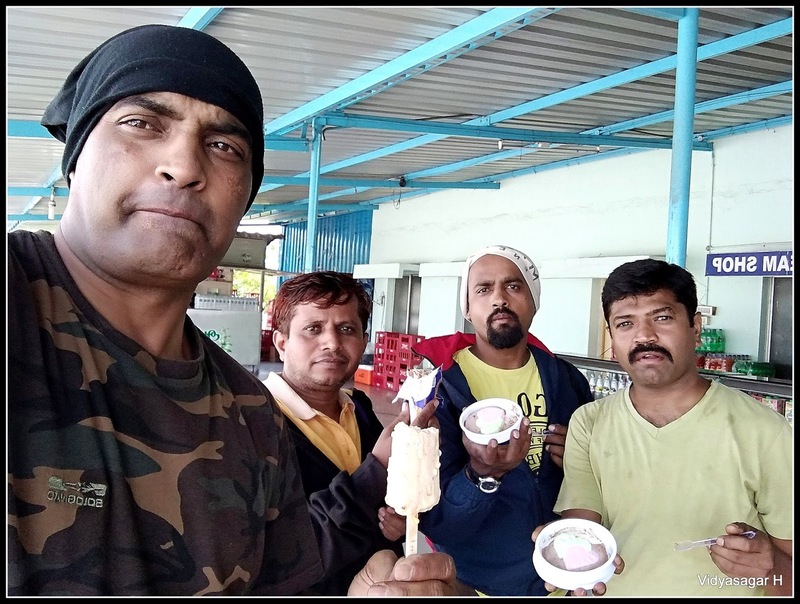 The body and mind was relaxed mode, on the way to Kodai had multiple breaks with Ice cream and snacks. Very disappoint thing was hell of traffic. 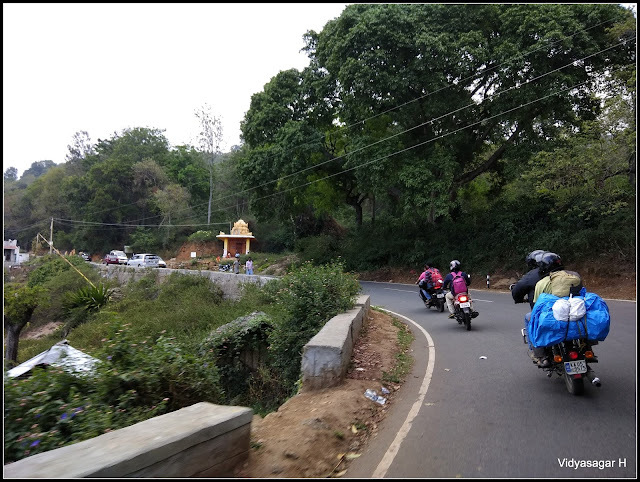 The Kodai was about 5-6 KMs, the vehicles were lined up like a rally. Two wheeler somewhat managing the way and moving forward. By great difficulty escaped from the jam and reached the town. 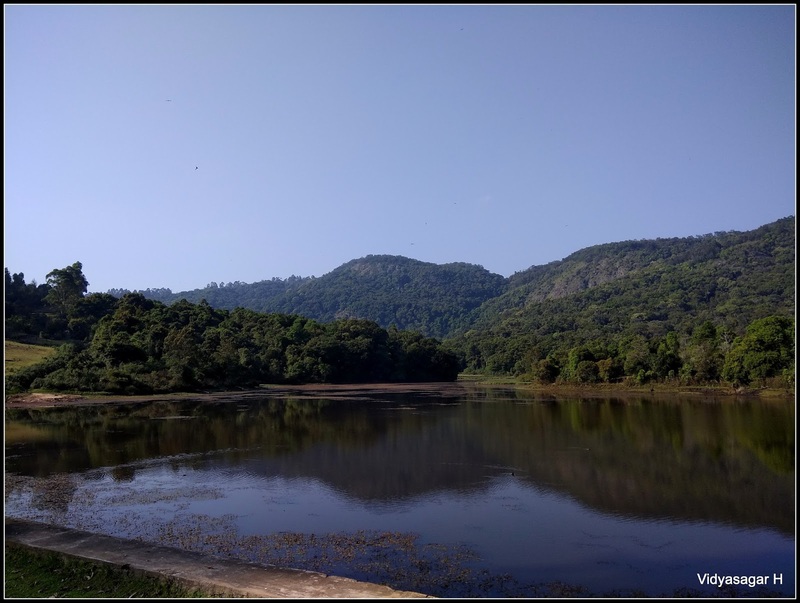 No one was in mood to explore the town because of the crowd, however we just covered few places viz., Lake, Coakers Walk, Lake View Point & Poombarai village view. Now our journey was continued towards Palani. Again the hell of traffic, exit from the town was again the challenge one. 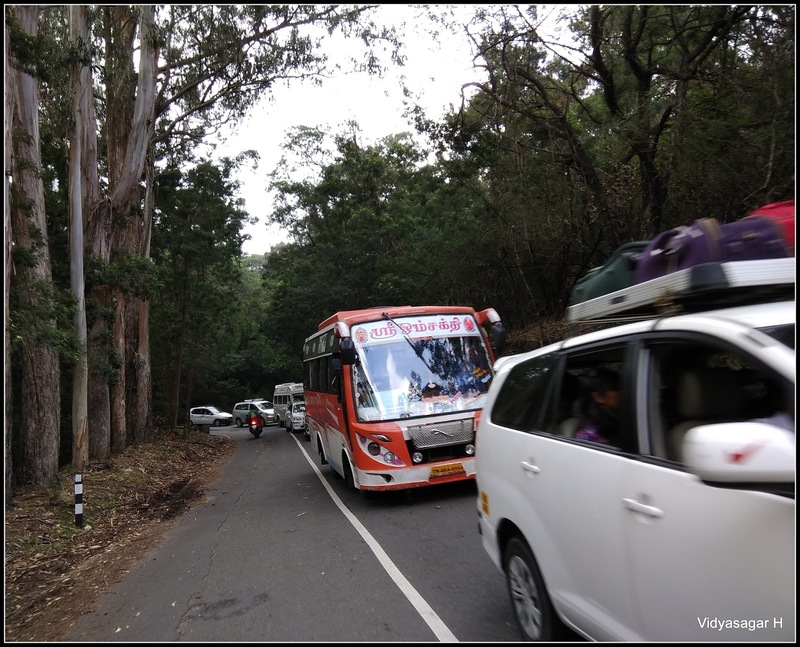 The vehicles were lined up almost 12-13 kms, which were entering into Kodai. Not sure by what time they may reach to the town, we all were fed up with jam and came out from the town. I decided not to visit any tourist place during long weekend. The Kodai traffic will be remembered a lot for all of us, finished our lunch near deviation route of Palani. The lunch was hot and tasty. When we came out from the hotel, the weather was turned into drizzling. Waited for some more time, there was no sign of stopping. Wear our rain jackets and continued the journey in the rain. 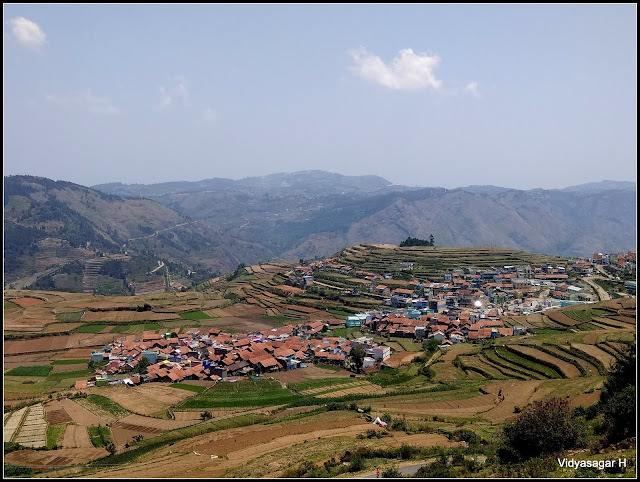 Kodai to Palani trail is more scenic and scary valley than the Dindigal. You will pass through one side a deep valley and another side a hill. Drizzling gave more beauty to atmosphere, taking some small breakups continued our journey. Enjoying the valley we reached a small hotel. The time was around 5pm, decided to camp somewhere around this, asked the permission to stay aside the shop, they had not agreed. 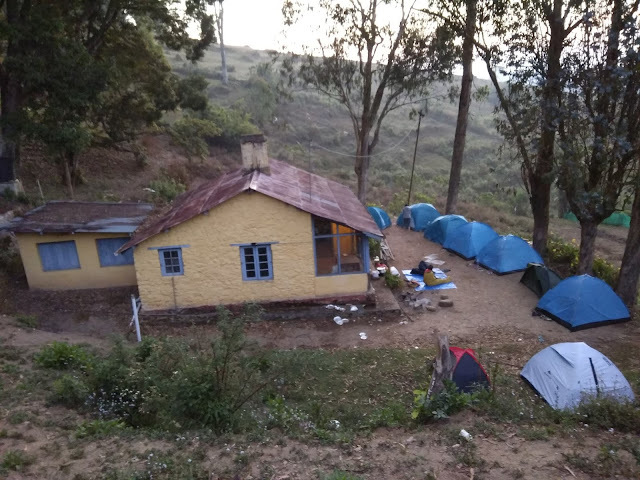 We reached forest checkpost and asked for the permission to pitch our tent for the night. Initially they did not agree, however we convinced them. 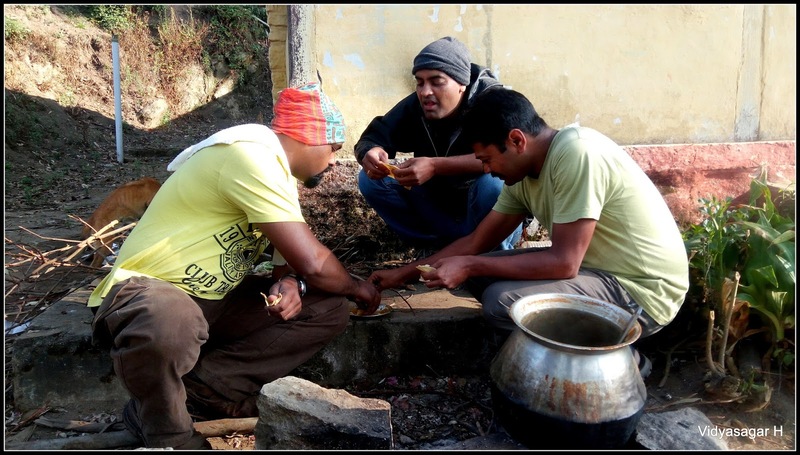 Thankful to Dinesh again, who guided us to camp near Melpallam forest checkpost. The sky was turning into dark, I and Suresh went down the valley to bring the dinner for all. Only one hotel available where we can get the food. The hotel was around 5 KMs from the checkpost towards Palani. Brought parcel of the Kerala Paratha, Curry and other snacks. There was a panic and twist in the night. Forest department personnel shown one more location just back side of their quarters a small temple. It was really perfect for camping, so we pitched our tent at temple premises and finished dinner around 8 pm. About to retire for the day, four local people came to our place on bikes. They were all drunken, we smelled they going to disturb us. I and Suresh could able speak little Tamil, tried to convince them polite way. Initially they were rood, later we succeed to convince them. 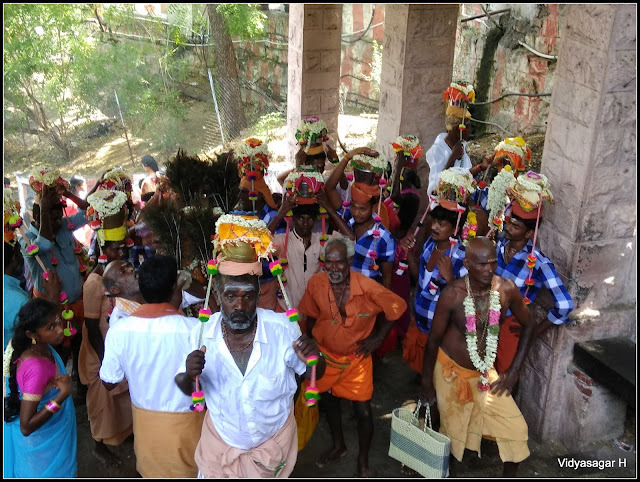 They went away saying “not to pollute the temple premises”. We all got a big relief, else we have to find other location for stay. The day was very relaxed except the traffic irritation in Kodai town. Morning was very pleasant, we had good sleep in the tents. The day will be very long ride, we have to reach our home by end of the day. Quickly finished our morning core jobs, packed our tents on the bike, set ready to enjoy the day. 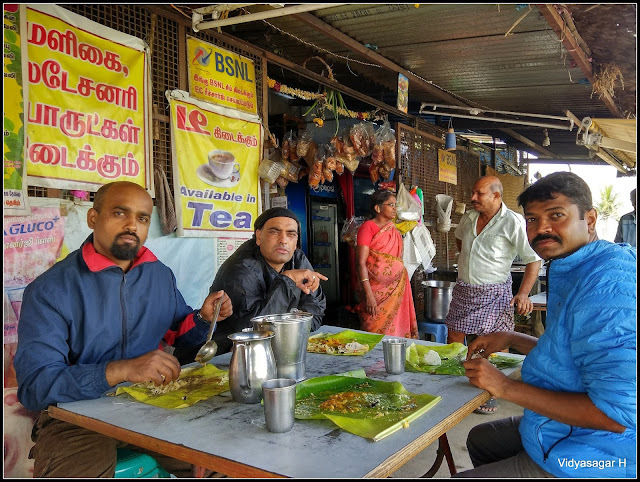 We all decided to have breakfast in Palani which is around 40KMs. 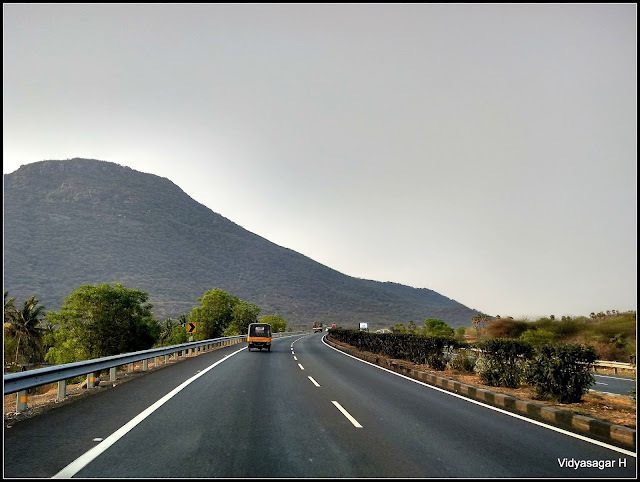 The Palani ghat is very scary, one side a deep valley and another side the hill. There is no wall or fence which protect for any accident. We should be very careful while riding this ghat. 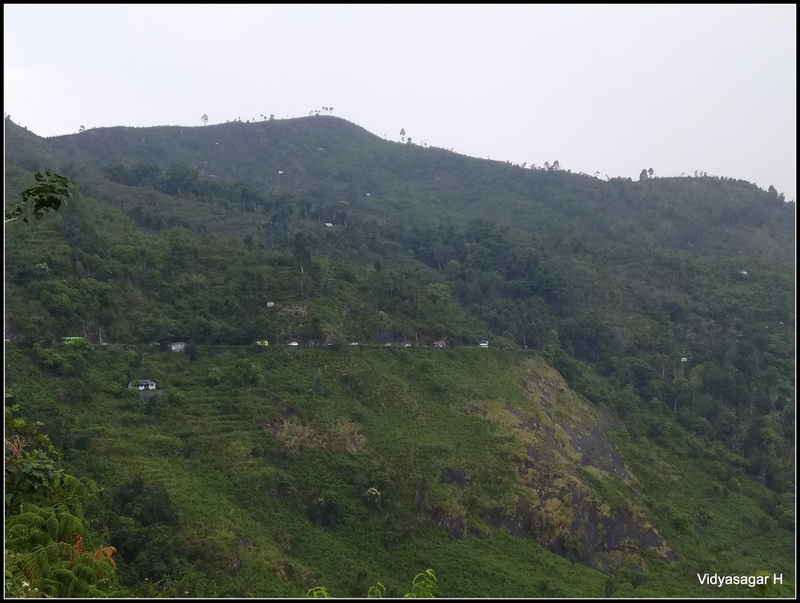 Rolling ghat terrain enjoyed a lot, soon reached the outskirt of Palani city. 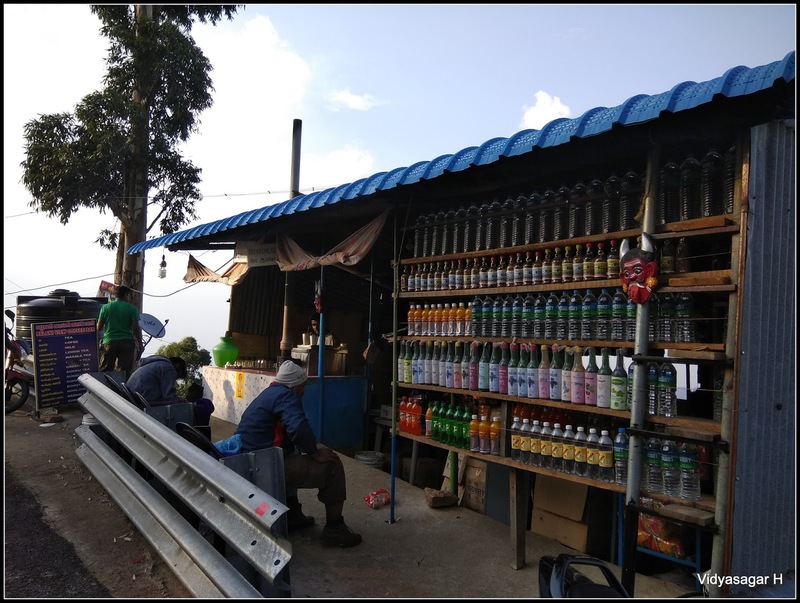 We found roadside mango shop, thought to fill our stomach as morning breakfast. 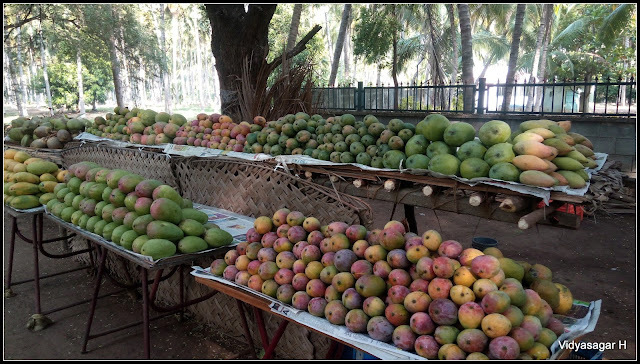 Tasted all types of the mangoes and tender coconut. Now the journey was continued towards city. 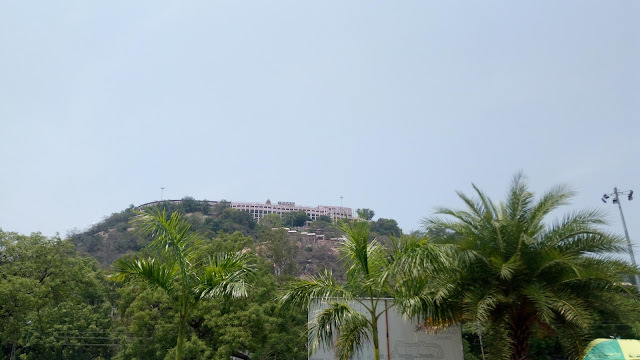 The sun slowly itching us, Suresh wanted to visit the Palani Muruga temple. On demand, we took a room in lodge to get refreshment. 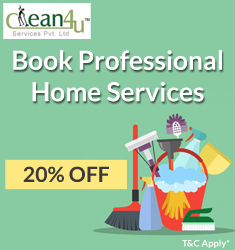 We paid around Rs.250/- which is very economy. One by one we took bath, kept our luggage and bikes under lodge custody. The temple was hardly 1KM away from the lodge, we decided to go by walk. 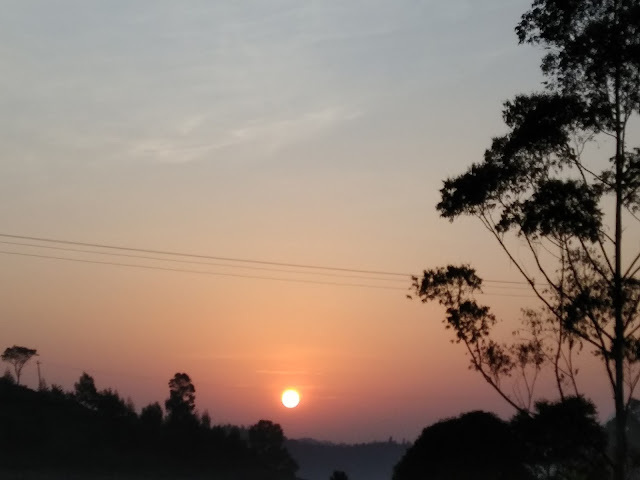 The weather was completely opposite to Kodai, the sun was hashing very badly. 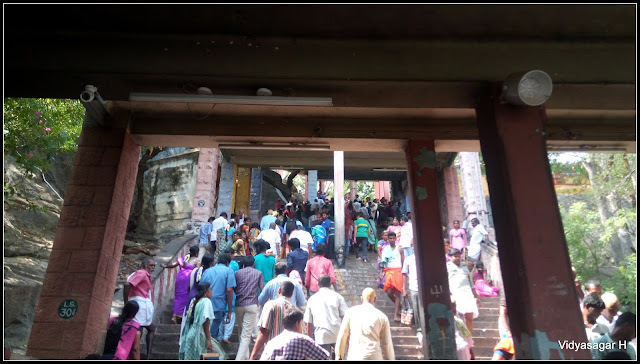 Muruga temple is situated on a small hill inside the Palani town. The premises was filled with devotees, the entire range is like an annual fest. There are two ways to reach the temple on the hill, you can take the cable car or hike through steps. Considering the crowd at Cable car, taken the step route. A small hike made all of us little tiered, considering the huge crowd paid our Darshana from outside. Decided not to stand and queue, which would take minimum 3 – 4 hours. The time was around 11.30 am, decided to finish the early lunch. Found a decent hotel near the temple, filled our stomach with hot Dose and other delicious morning breakfast items. Now the time was around 12.15, the initial plan was to cover Malai Mahadeshwara Hill. 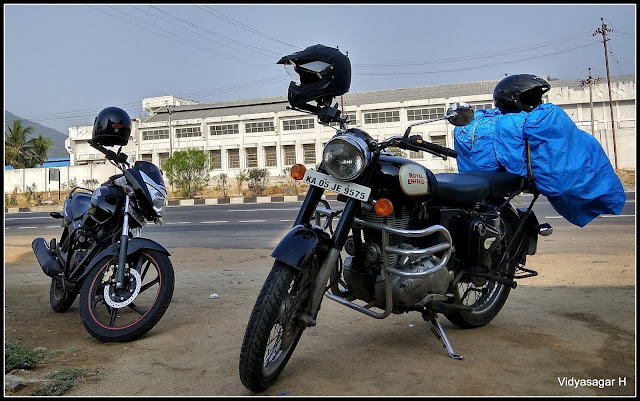 The time was not much, decided to skip it and took the internal route towards Bengaluru. 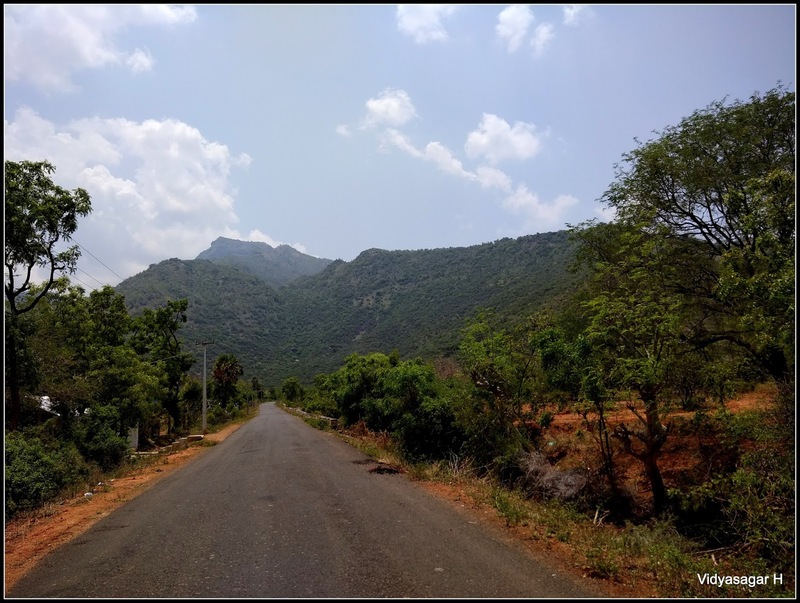 The internal route was much better than the National Highway, passing the Erode reached the Mettur at 4 pm. Taking many small breaks and enjoying the ride reached home safely at 10 pm. Definitely I would like to add about Bullet which was gave lot of trouble till reach to home. 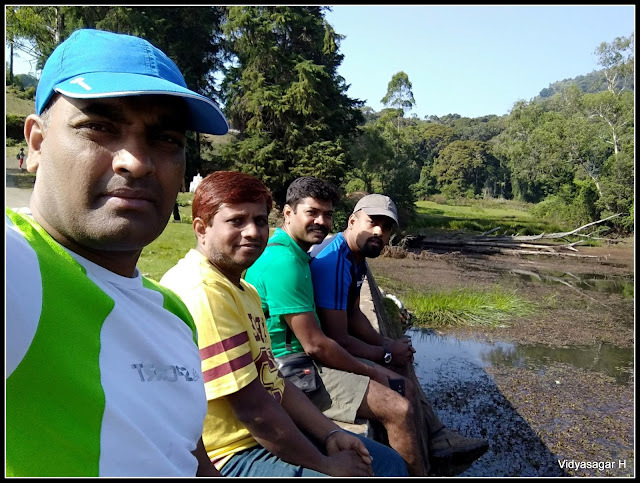 Kodaikanal round trip was joyful ride with close friends. We have enjoyed all three days; two days camping sites were awesome. Thank you to all my dudes for making this wonderful unforgettable journey.